When I started homeschooling I researched curriculum like crazy. When you consider how many subjects you want to teach and then add up all the books you want to use, you go into sticker shock. But I needed to know where to buy used homeschool books. If you were to buy everything new, for some of us, you would not be able to afford to eat. Which is horrible because it is upsetting to think that the decision to homeschool would be based on money, however, it is an issue you can’t ignore. 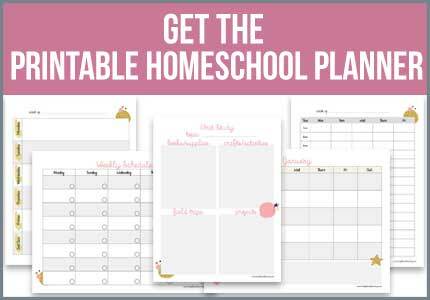 If you plan well, you can homeschool using all the things you want. You may not be able to buy it new but you may find it for a great price used. Obviously, finding used curriculum is going to take more effort and more time, you need to be patient. You are not going to find everything you need right away. Make your plan for your child’s curriculum the year before you need it. I usually do this around March/April. When homeschool conference season starts, everyone will be looking to purchase new books and getting rid of their old ones. Make sure you know what the price is if you bought it new and make your budget. How much can you afford and how much will you allocate to each subject. If you want a pricey writing program, maybe you’ll need to use a free spelling program. Scour the used sale boards and see what you can find. Make sure you ask or check which edition of the book the seller is selling. Ask what is included so you have everything in writing and so that you know it is complete. Where can you find homeschool books for sale? I always try to look local first, it saves me on shipping and Canada post services charge you an arm and a leg for shipping costs. I look on Kijiji or ask in my local homeschool group first. Other homeschool moms are busy to list their items too but they may be done with a resource and have it available for sale. Our homeschool co-op allows us to bring books and we’ve had a homeschool curriculum sale in there too where I found a ton of great stuff. Don’t forget to check your local used bookstores as well. If I can find a deal, I don’t care where it comes from. I once found a wonderful curriculum at a Salvation army, you never know what people are getting rid of. I forgot to mention Amazon’s used books from third-party sellers. I know some people who have received books that were in a horrible state and were refused refunds from the sellers but were reimbursed by Amazon. So it’s well worth a look. Of course, being in Canada, shipping is always a factor. You will need to check how much shipping is before you make a purchase. If it’s a large Saxon textbook, you’ll need to consider how much savings you’ll have compared to purchasing new. Obviously, a local source would be better for larger, heavier books. If you are a member of a local homeschool group, there may be other homeschoolers selling used materials as well. I’ve found a number of great deals from other mothers selling their old books. This way you can make money off your old books so you can buy new ones. If I can’t find the item used I always check on Amazon since they have free shipping over $25 or The Book Depository which has free shipping worldwide, also ChristianBooks.com has reasonable prices as well. Have fun homeschool shopping! 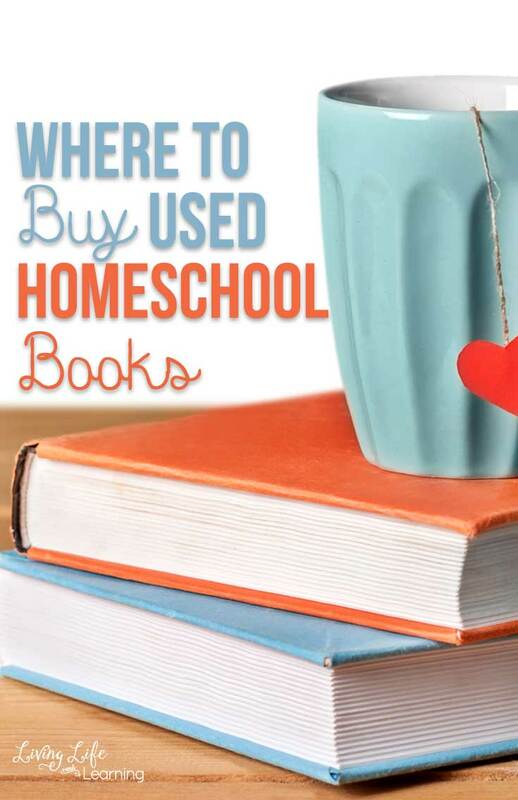 Where do you buy your used homeschool curriculum? Oh I LOVE books and I love buying curriculum! You mentioned several places I have not heard of or considered before! Thanks! I know I have way too many books than I do space. You’re right, it’s difficult but money can be an issue when homeschooling. Thank you for the resources that you listed. Love my planning time, and especially live Used bookstores. We had an amazing used bookstore in Virginia that I miss dearly. I wish we had a good one here, I love books! Thanks for a great post. I also love to look at all the different curriculum options. I’ve got a teen so it’s alot harder than just all fun stuff…but I still look for the best deals and what will keep my son interested and wanting to learn. Thanks for the different places to look! Great list! I added this page to Stumbleupon. I’ve used Vegsource and eBay for purchasing our used books. Have to check out the other site and get ready for next year! Great list. You can also find things on amazon to use. This is definitely very valuable info for parents who home school their kids. Keeping the cost low is awesome. Definitely, it definitely takes more effort to save money. I use Amazon and garage sales. Both have saved us hundreds of dollars! These are some great suggestions. We saved the most by passing down non-consumable curriculum to younger brothers and sisters and using multi-level curricula like Konos and A World of Adventure or My Father’s World. We have homeschooled 5 children for over 20 years and have avoided over-spending every step of the way. There are so many ways to save on homeschool materials as outlined in the comments above. For more used homeschool curriculum options, I would like to recommend my family’s site: http://besthomeschoolbuys.com where homeschooling families can connect to a great selection of used curriculum. Today, e-readers can make reading the classics that are in public domain a very inexpensive way to offer literature. My daughter loves her Kindle and is always converting books from Archives.org or Gutenburg to Kindle format so that she can read them on her Kindle. It is a great money saving option. I haven’t tried them, I will have to take a look. Oh , yes, the Homeschooler’s Curriculum Swap was the first. What a welcome site it was! Before Homeschool Classifieds came along, I joined the Swap every year and sold most of my used homeschool curriculum there. They are still doing a great job. Check them out if you are selling your curriculum and homeschool books. Craigslist, believe it or not! Oh yes, I forgot that, I’ve had tons of luck on Kijiji. Betterworldbooks.com has free WW shipping, too. They are used books. Thank you, I will have to check them out. Great list. I will have to look into some of those resources. I use Thriftbooks.com a lot. They also have free shipping. And, if a book you are searching for is out of stock, you can put it on your wishlist and be sent an e-mail when it does become available. Here is another great website where I have found used (sometimes new) curriculum books & books to build our homeschool library! Don’t let the name mislead you… I have found hardbacks & CDs too! Thriftbooks.com is a favorite of ours! Thanks for this list. Don’t forget ThriftBooks.com!! Thanks will have to take a look. Thriftbooks.com is wonderful! Free shipping on orders of $10 or more. Earn points toward a free book. Wishlist notification saves me lots of time! I recently scored a perfect condition math book for $7 which normally retails for $22 at Christianbook.com!